Damage caps, statutes of limitations, and Georgia rules when suing are important to know in injury case. The information provided below is a guideline to follow but not pertain to your specific case. 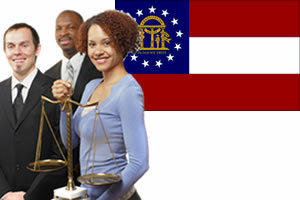 Please contact us if you need a FREE case evaluation for your Georgia injury case and claim. Just like most states, you have up to 2 years to file a product liability claim and a general personal injury claim in Georgia. Medical malpractice and negligence claims are a bit different; for malpractice claims you have 2 years also, but: if you discovered the injury in that 2 year time period you have a bit longer. Sometimes this type of extension can be up to 5 years. Speak to a Georgia personal injury attorney regarding your specific case and its statute of limitations. Georgia Fault state rules apply specifically to car accident cases. In Georgia you can sue the other party that caused the injuries following the guidelines of the 50% (50 percent) rule. The 50% rule is a modified version of the comparative negligence rule. This means that in Georgia you can sue and try to collect if you are less than 50% at fault. If it is found you are responsible for 50% or more of the accident, you cannot sue. Of course, proving less than 50% fault can be aided with an experienced Georgia attorney strengthening your case. After proving fault with comparative negligence, you can be awarded a settlement of the other parties fault percentage. Are there Damage Caps in Georgia Injury Law? Georgia damage caps refer to injuries sustained from hospital or doctor negligence and malpractice. In Georgia, a personal injury cap of $250k exists for punitive damages. Contact one of our Georgia lawyers for more information on other types of damages like economical losses or non-economical losses.